Under 15 Quad: Aphelele Makeleni, Onela Veto, Thembani James, Nkosikhona Sandi and Mzimasi Khuhlani. 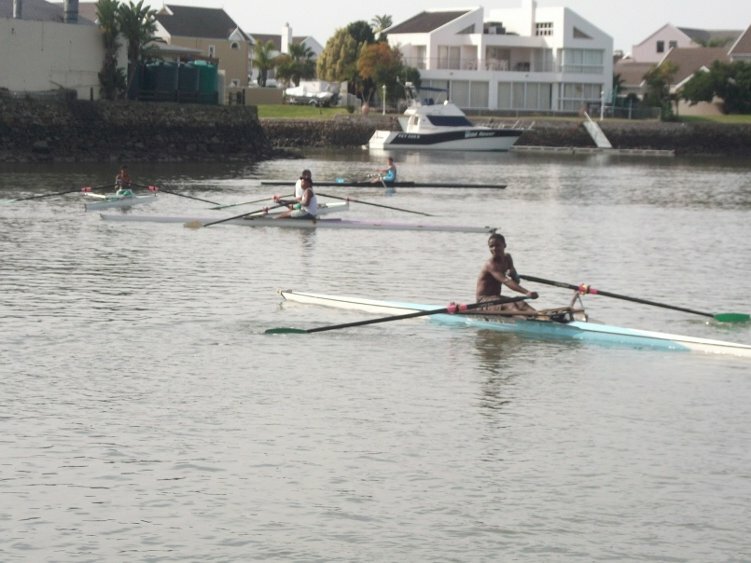 The Olympic Gold medallists Sizwe Ndlovu and James Thompson visited Port Alfred. 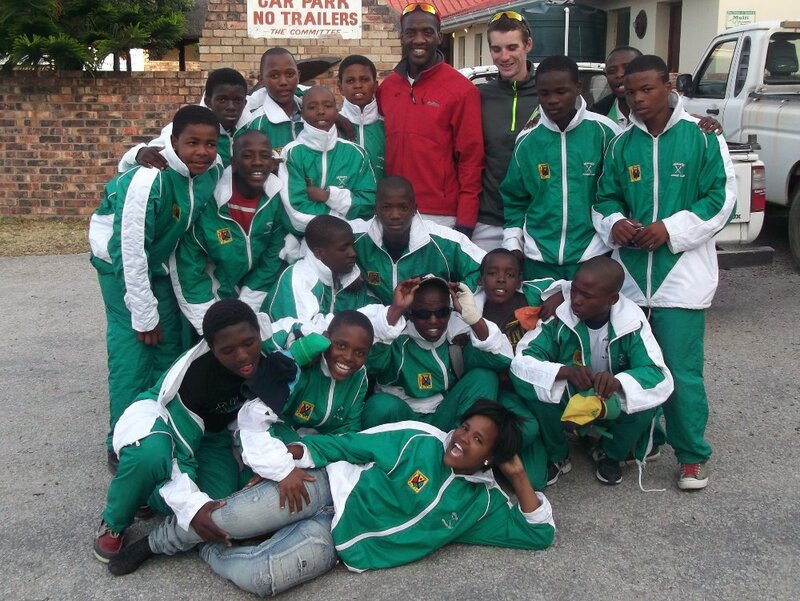 They were invited by Stenden South Africa as motivational speakers for a youth camp organised by Stenden. Our rowers were invited for two activities in the camp. 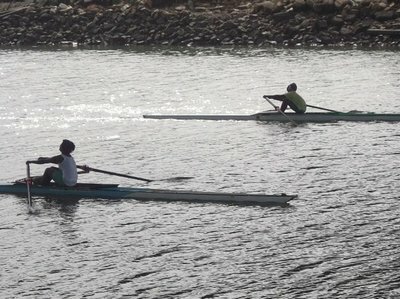 We did a rowing demonstration, showing all sorts of tricks in the boats that very few rowers in the country are able to do. The show was followed by a nice supper in a restaurant. The other day we competed with the Olympic rowers on our Kowie River. The first 500m race was the Olympians in a double against our Under 16 quad. It was an easy win for our quad. 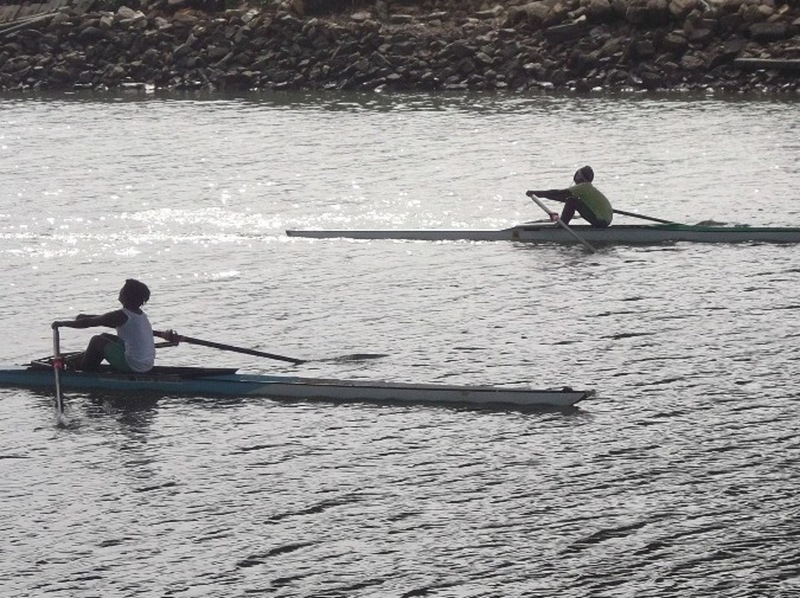 The second race was the two Olympians mixed with our U/16 cox (Aphelele Makaleni) stroke (Lindokuhle Nikelo) and number three (Buhle Ngcelwana) against the double Xolisani Hina and Makholwa Bari in the double. 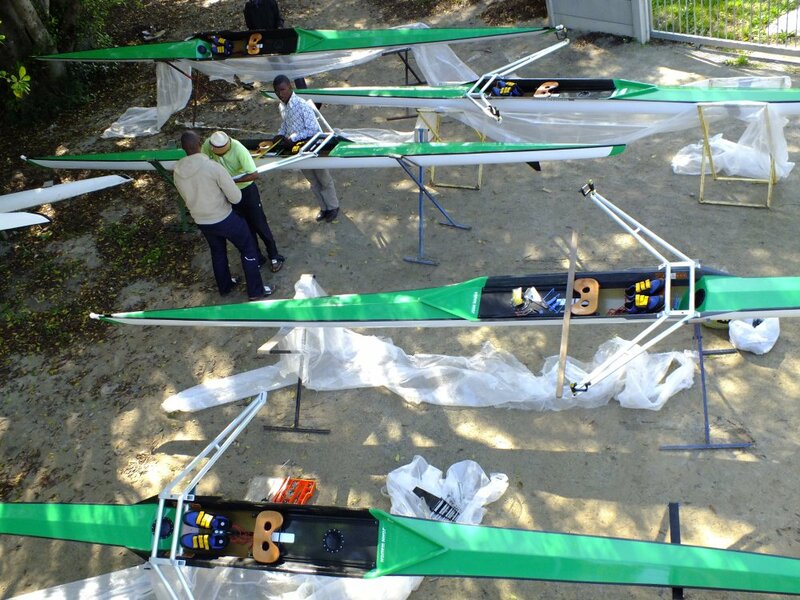 The quad had a clear win. 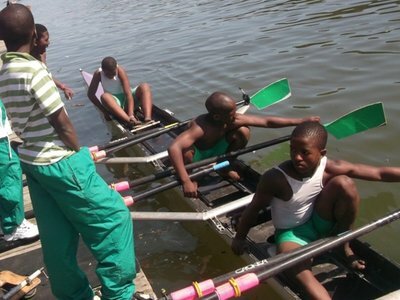 We went to the Civic Centre for a supper with the youth camp participants. 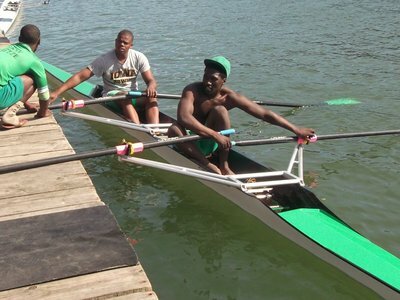 The Olympic rowers motivated the youth to have dreams and aim for success in life. We went to East London for the second competition of the year: the Buffalo Heads Regatta It has long distance heads races like our Nemato Sculls Head, not only in single sculls, but also in team boats. It was a nice competition with many rowers from the Eastern Cape. 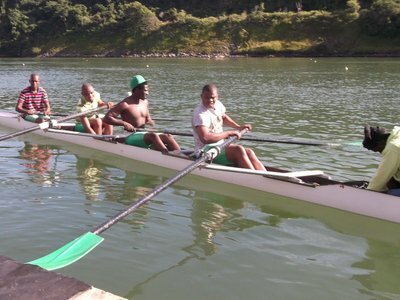 Our senior rowers participated in the South African Senior Rowing Championships in East London on the 28th of April. 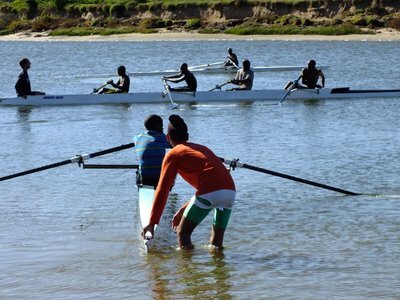 It was a bit early in our rowing season, but all the years of rowing experience and good basic fitness paid off with Chuma Nyendwana, Lunga Vulindlu, Simlindile Veto, Bulelani Zono and cox Thulani Magongo winning gold in the C-level coxed four. Today is the official start of our Port Elizabeth branch of Nemato Rowing Club. 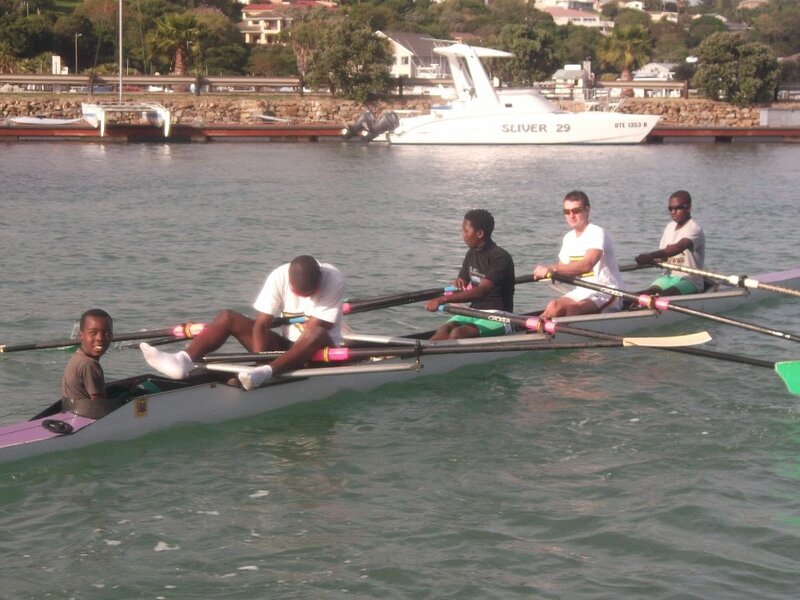 We took 2 ergos, 2 sculls and 1 double to PE. 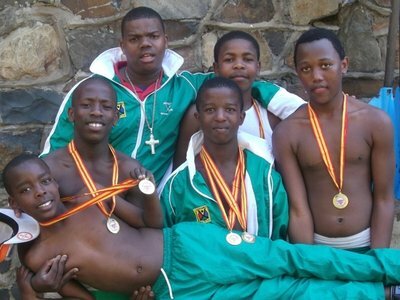 The four members are: Lunga Vulindlu, Ashley Backward, Bongisani Magopheni and Odwa Quma. They live together in a house close to PE College in Struendale. For transport to the Swartkops River (8km) we bought them bicycles. 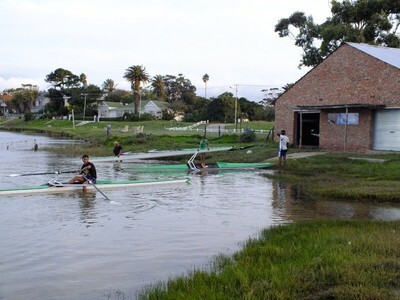 The Nelson Mandela Metropolitain University (NMMU) Rowing Club offered us space in their boatshed (thanks!). 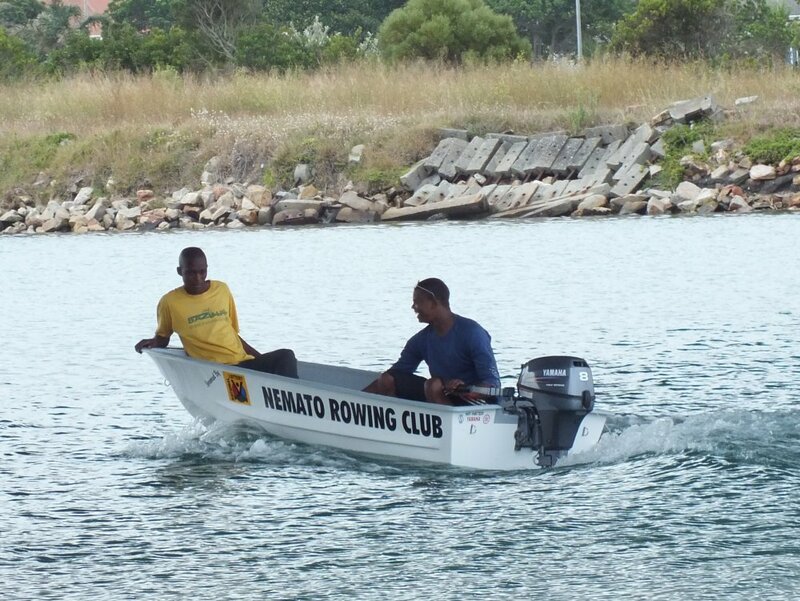 Nemato Rowing Club is very fortunate to have received support from Lottery for equipment, capacity building, kit and provincial competition.